ELS/Miami is located on the campus of Barry University in Miami Shores, a suburb of Miami. Our on-campus location will enhance your English language learning. You will experience typical American college life while participating in campus activities, sports, lectures, concerts, and plays. Our friendly staff and teachers are ready to help you learn both in the classroom and out in the beautiful city of Miami. You will discover the tropics first hand: with its exotic plants, the wide clear blue skies and the most beautiful sunsets imaginable. With year-round sunshine, warm ocean waters and sandy beaches, Miami offers outdoor activities such as wind-surfing, snorkeling and boating. Shopping in Miami's luxury malls, outlets, and boutiques will entertain the most avid shopper. Miami is home to world-famous art, music, film and food festivals, concerts, and sporting events. Our ever-evolving art and design attractions make Miami a changing experience. Come share this adventure with us! 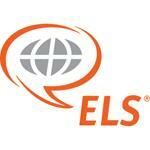 More than 550 U.S. universities, colleges and career schools (including Barry University) recognize completion of the ELS Intensive English program as satisfaction of their English language admissions requirement, in place of the TOEFL or other exam. The ELS Language Centers University Placement Service can also help students secure placement in a U.S. university, college or career school before they leave home. The center also provides college placement assistance to currently enrolled students.